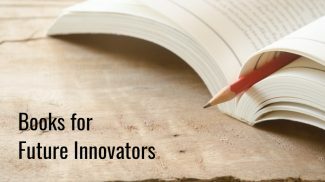 Editor’s note: For picks of top management books from last year see 10 New Leadership Books You Must Read in 2016. Ah, the joys of management. There’s nothing quite as fulfilling as managing something. It gives you the impression that you are controlling it — instead of the other way around. 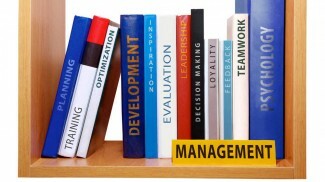 Management is something we all do in both our personal lives as well as in our business. And these days, with work and personal lives becoming more and more intertwined, you’re going to need a little help with “managing” it all. 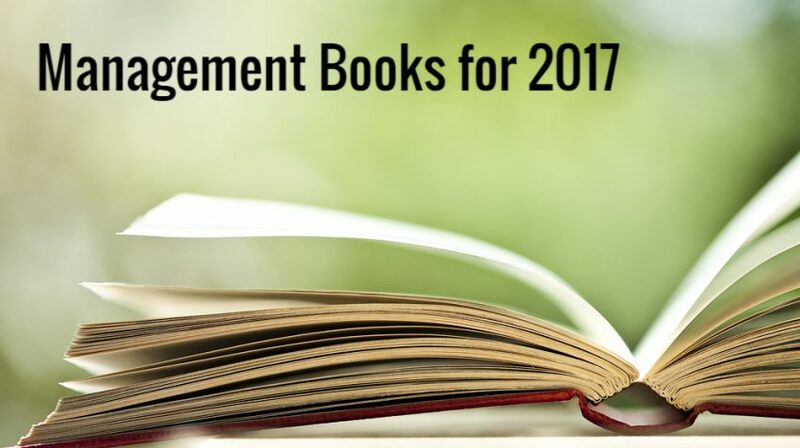 Here is our list of best management books for 2017. 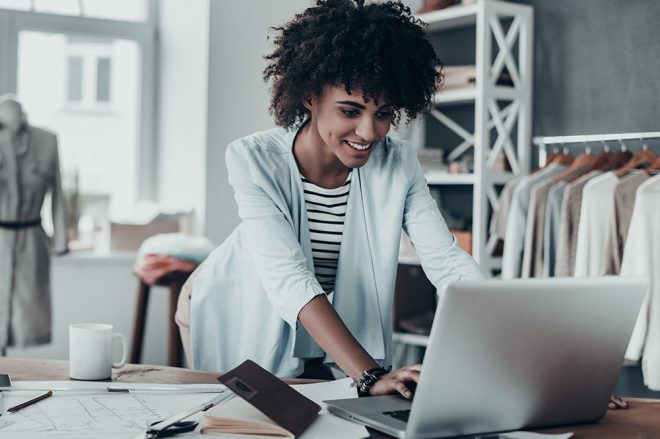 Running a business can be fulfilling, but it can also be incredibly stressful; being pulled in different directions can make you feel completely overwhelmed. 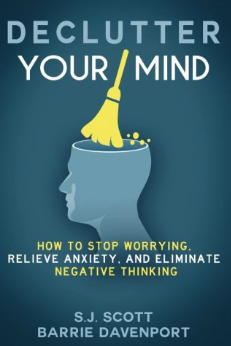 This is where Declutter Your Mind: How to Stop Worrying, Relieve Anxiety, and Eliminate Negative Thinking by S.J. Scott and Barrie Davenport comes in as a handy read. Declutter Your Mind will show you how to manage the ever-present thoughts and conversations that can take over and hijack your peace of mind. The authors recommend a variety of mindfulness techniques you can use regularly that will clear up and create space in your mind so that you can be more creative, more productive and more fulfilled. The book gives you a primer on the impact that your thoughts have on your life and potential results. Through their own stories and experiences, the authors share their four mind decluttering strategies; breathing, meditation, reframing and creating new thought patterns. Then they move on into other areas of life such as relationships and even your surroundings. If you’ve been looking for ways to simplify your life — this is a must read. If decluttering doesn’t work — embrace your mess! That is the message of Messy: The Power of Disorder to Transform Our Lives by Tim Harford. 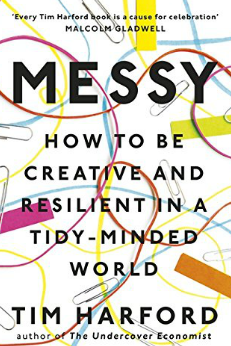 It may seem counter-intuitive, but the author has pulled together countless examples where messiness beats tidiness. In fact Hartford says that we are tempted by tidiness throughout our lives; cleaning out email boxes, tidying up our desks and avoiding situations that don’t meet our “quality standards”. As it turns out, messiness pulls us into a different frame of mind, opens us up to new opportunities and is actually good for us. In this engaging book, you’ll read example after example of how messiness has transformed lives and outcomes by some of the most respected artists and leaders like jazz great Keith Jarrett who delivered his most memorable performance on a piano that was less than playable. Messiness and disorder increases creativity, encourages collaboration and improvisation and builds resilience. Hartford shares untold stories behind some of the world’s most interesting people and memorable moments, while simultaneously entertaining and showing you that if you want to run a successful business, messiness is part of the plan. Feeling unproductive or frustrated because you’ve been trying to incorporate new behaviors in your business or your life and you’ve been failing? It’s not because you don’t have the willpower or control or discipline, it’s because you haven’t learned how to create new habits. 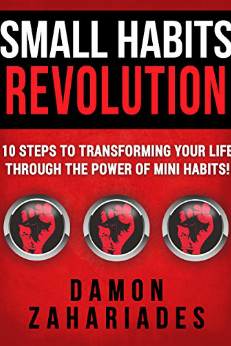 In Small Habits Revolution: 10 Steps To Transforming Your Life Through The Power Of Mini Habits!, author Damon Zahariades removes the blaming blanket that you’ve been covering yourself in and introduces you to the simple process of creating habits that will stick and get you to where you want to be. You’ll enjoy reading and implementing “Small Habits” because it covers a lot of ground without delving too deeply in any one area. The authors will touch on the brain science of habits without overwhelming you with too much science. The content will include some encouragement, but it won’t go overboard on fluff. Instead, you’ll get proven step-by-step methods that you can use to insert those habits that you’ve been struggling to implement, but have eluded you. “Small Habits” is a book about creating NEW habits. If you’re trying to break a habit or stop doing something, this is not the book for you. 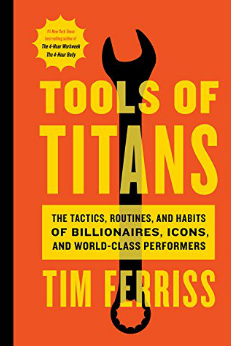 Tools of Titans: The Tactics, Routines, and Habits of Billionaires, Icons, and World-Class Performers, by Timothy Ferriss is a compilation of hundreds of interviews that Tim has done with celebrities, athletes and even Special Operations commanders and black-market biochemists. What sets this book apart from other compilations of interviews is that each interview is focused on uncovering practical and actionable steps that you can adapt in your own business and your life. What do these people do in the first sixty minutes of each morning? What do their workout routines look like, and why? What books have they gifted most to other people? What are the biggest wastes of time for novices in their field? What supplements do they take on a daily basis? If you’re the kind of person who likes to take a peek behind the curtain of what mega-successful people do, you will get it. If you’re the kind of person who shies away from books that put you in a place of comparing yourself with others, you can see this book as a guide filled with potential ideas that you can implement in your own life. Whenever a group of entrepreneurs and business owners get together in a mastermind group, the conversation eventually turns to people issues; how to have difficult conversations, how to communicate your vision for the company, how to motivate and enroll your team around your next project. 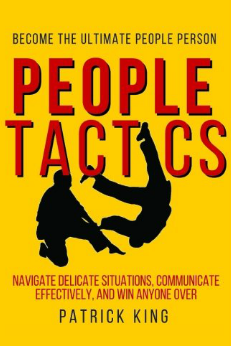 Now, there’s a new book for that, People Tactics: Strategies to Navigate Delicate Situations, Communicate Effectively, and Win Anyone by Patrick King. King isn’t just the author of the book, his style and advice reminds will remind you of movie “Hitch”; where the smooth talking dating coach, Will Smith shows bumbling and insecure Kevin James how to win the heart of a beautiful girl. King doesn’t pull any punches about why you may be having issues with people, he outlines exactly what a “people person” does and how they act. He also shares concrete examples and names them so that you can easily spot what your relationship killer behaviors are. Are you a card-carrying member of the “Belief Police”? Do you take responsibility for your relationships and experiences or do you wait for relationships to come to you. This book is loaded with every possible situation you could find yourself in — and if it isn’t covered, there is one similar to that. If you’re in denial about your people skills, you should pass. King’s tone is straightforward and it’s written for people are are ready to release their inner people person. There’s no getting around it. If you are responsible for leading or managing people — you are the boss. In the new book How to Be a Great Boss by Gino Wickman and René Boer, the authors embrace the title and encourage you to “wear the title with pride”. But to do that, you’re going to need a little guidance so that you can be the “great boss” you aspire to be. And this is exactly what this short, easy to read book delivers. Being a “Great Boss” doesn’t just happen. Like everything else in life, it requires an understanding of what a great boss looks like, what they do and how they do it. 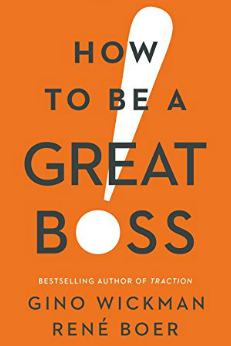 How to Be a Great Boss takes you through the entire process and includes critical success factors such as learning how to delegate, surrounding yourself with great people and then delves into the details of five management practices and understanding people styles. If you’re a “get it done” person, you’ll appreciate the authors’ straightforward style and their attention to the 20% of the skills and tactics that deliver 80% of the results. 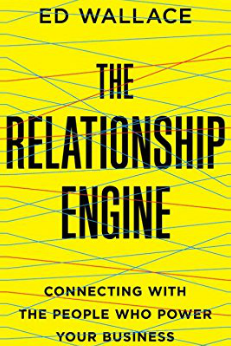 The Relationship Engine: Connecting with the People Who Power Your Business, by Ed Wallace, opens with the quote “Success comes through the relationships we build with others.” This is a perfect summary of what drives this management book written for business owners, entrepreneurs, sales people and supervisors at any level. The Relationship Engine uses five core principles to help you achieve this goal; Display worthy intent, Care about people’s goals, passions and struggles, make every interaction matter, value people before process and connect performance to a purpose. The book contains case studies, stories and examples that will help you implement these principles in your own business. In today’s virtual and collaborative work environment being part of a team is how work is done. Teams are multi-functional, international and often include consultants, freelancers, vendors and sometimes even customers! How are you supposed to manage all of that? 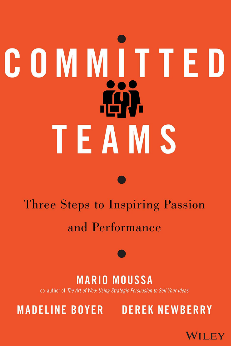 This is where Committed Teams: Three Steps to Inspiring Passion and Performance, by Mario Moussa, Madeline Boyer and Derek Newberry can be a very useful read for anyone who is part of today’s complicated world of work. 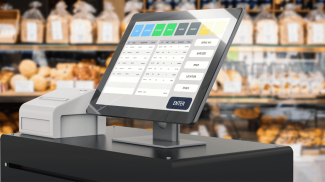 You won’t believe the crazy, transformative innovation strategy that came out of trying to sell more milkshakes! This sounds like a typical marketing problem, but it’s actually a management and innovation question that has turned the world of marketing and management on it’s head. 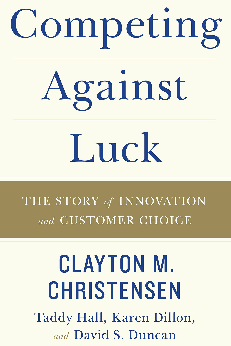 In Competing Against Luck: The Story of Innovation and Customer Choice, Clayton M. Christensen, a leading authority in innovation from Harvard, realized that when we focus our management attention on improving existing processes and efficiencies, we’re actually getting better at the wrong thing. “Competing Against Luck” will open your eyes to the myriad opportunities for transformational creativity around your products and services. Do you believe life happens to you, for you or by you? That’s a big question and in Designing Your Life: How to Build a Well-Lived, Joyful Life it took two Stanford professors of product design, Bill Burnett and Dave Evans, to realize that applying the principles of product design to your life, you could literally design a career and a life you love? 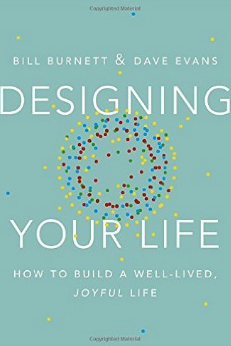 Bill Burnett and Dave Evans believe that “Following your bliss and your passion” is all wrong. They believe that passions are found through curiosity and exploration — the same way that products are built. Product designers always start with a problem they want to solve and then, they go through a series of steps; Experimentation. Wayfinding. Prototyping. Constant iteration. Are you looking to make a career move? Do you want to start your own business? Has the business you started run its course and you’re ready to do something new? 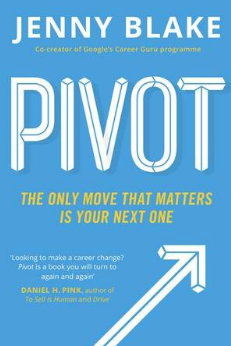 Pivot: The Only Move that Matters is Your Next Move, by Jenny Blake, is a great choice for anyone who is in the “what’s next for me?” conversation. Author Jenny Blake has worked in technology and been a part of Google’s Training and Career Development teams, so she knows a thing or two about fast paced career changes. She uses the tech startup term “Pivot” as the title to her book because it means to “double down on your strengths”. The book is loaded with tips, strategies and examples that will help you Identify what is working best and where you want to end up, and how to close the gap, how to explore options by leveraging the network and experience you already have and how to set benchmarks to decide when the time is right to go all-in on your new direction. If all goes as planned, 2017 promises to be a year filled with innovations, opportunities and change. Hopefully these books will help you embrace all of it and manage your business and your life like a boss.